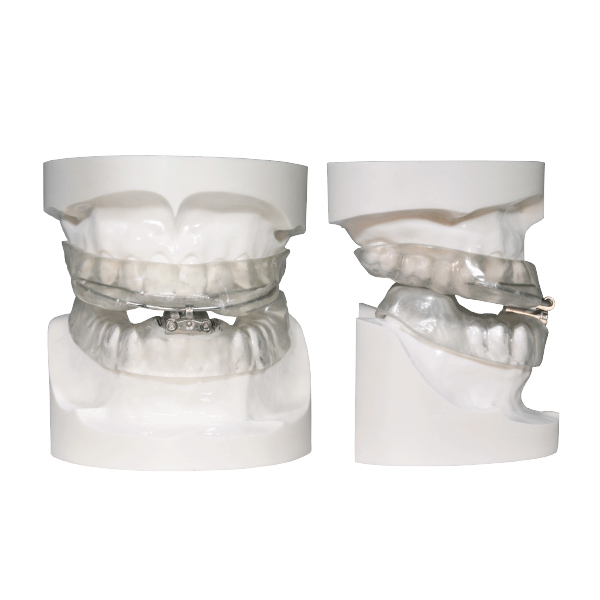 The DreamTAP appliance is designed with hardware on its exterior, giving the patient greater tongue space. The adjustable hook is positioned on the lower tray, this single point of adjustment prevents uneven bilateral adjustment that may cause jaw discomfort. The hardware is made of Chromium-Cobalt (Nickel Free), which is stronger than surgical stainless steel. The DreamTAP comes with 3 different sizes of hooks, allowing for up to 15mm of AP adjustment. 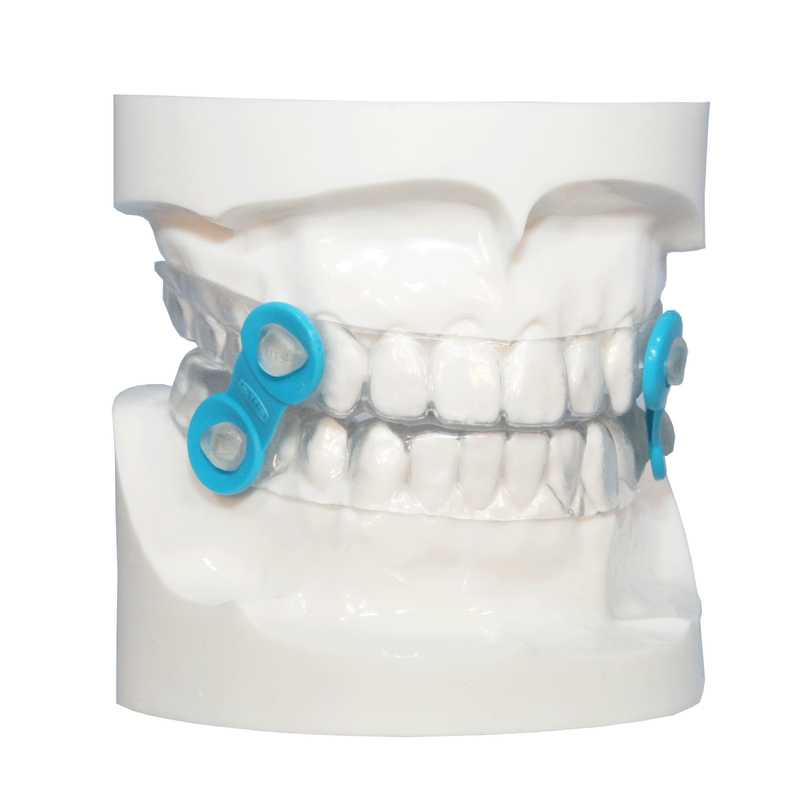 The adjustment hook advances the mandible .25mm with each turn, allowing for very easy adjustment by the doctor or the patient. A bite registration should be sent in with at least a 7mm open bite anteriorly.